In this tutorial, you’ll learn how to compress multiple files into one ZIP file using WinZip, in order to decrease disk space usage, as well as group them all into one transferable file. 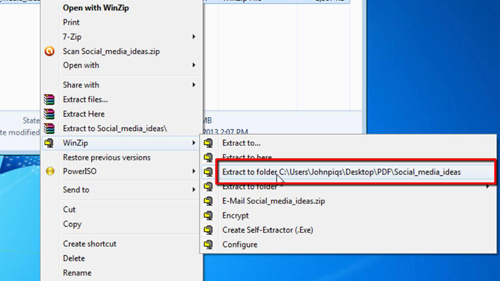 Then, you’ll learn how to extract zip files like the one you just created. 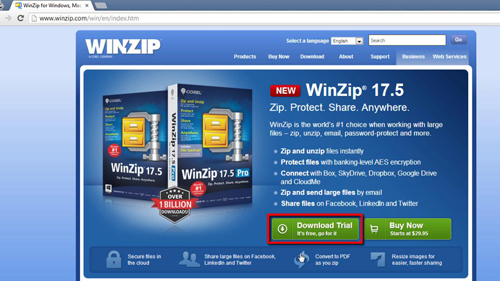 Go to “www.WinZip.com” and click “Download Trial”. On the next page, click “Download WinZip now”. 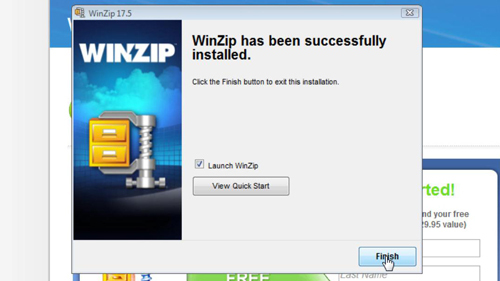 Click the “WinZip175.exe” file that appears on your downloads bar. Select a language and click “OK”. Click “Next” and then uncheck the option at the top otherwise the AVG Toolbar will be installed. Next, choose whether you’d like to send information about your usage to WinZip in order to help improve the program. Click “Next” and then “Finish”. Now, navigate to the files you wish to compress to the zip file. Click the first file, and then hold “CTRL” on your keyboard, now click on the other files you wish to add to the compressed zip. Alternatively, if all of the files are next to each other in Windows Explorer, you can select them all at once by either dragging a select box over them, or holding “SHIFT” instead of “CTRL” and selecting the last file. Now, right-click any of the highlighted files, go to the “WinZip” menu, and click “Add to Zip file…” If you’re using the trial version of WinZip, click “Use Evaluation Version”. At the top where it says “Add to archive:” look just below that and add your desired zip file name to the end of that file path. Click “Add”, and then “OK”. Now let’s retrieve those files. Find the zip file you created and right-click it. Go to the “WinZip” menu, and select “Extract to Folder” which will be followed by the file path of where the folder will appear. The folder should appear under the same name of the zip file, in the same directory where the zip was located. 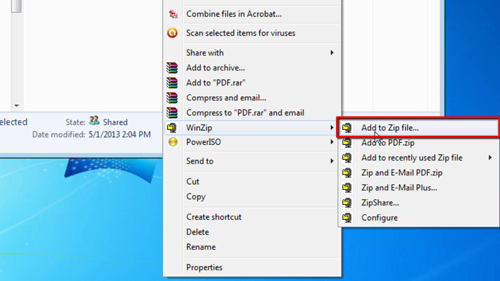 Well done, you now know how to compress and extract zip files using WinZip.